How Are Permanent Injuries and Scarring Handled in Personal Injury Cases? When you approach a personal injury lawyer in Tracy or Livermore , one of the first things he or she will try to determine is the severity of your injuries. Most personal injury cases require the responsible party to make the other person whole again—in other words, the person who was injured should be not bear any of the financial responsibility for his or her accident. Permanent injuries, including scarring, are handled differently. These injuries are usually considered to be catastrophic injuries and require a much different approach from personal injury lawyers. Here is a closer look at how catastrophic injuries are handled in injury cases. Although there is no standard definition of catastrophic injuries, they are usually considered to be injuries that cause long-term or lifelong disability, disfigurement, or need for medical care. In most cases, catastrophic injuries prevent a person from returning to the work they did previously or leave them in need of home care aides or other medical assistance. For instance, someone who is paralyzed in an accident or suffered brain damage that prevents from him or her returning to his or her job would typically be considered catastrophic injuries. Disfigurement, such as scarring, may qualify as a catastrophic injury, depending on the severity. If your injury is catastrophic, your lawyer will approach your case differently. The awarded damages are typically significantly higher for these types of injuries, to offset loss of future income and the need for future medical care. As such, the evidence requirements are much more stringent, and your attorney will gather information from a variety of medical experts to prove the true nature of your disabilities and the kinds of care you need in the future. In some cases, personal injury lawyers rely on witnesses who are experts in projecting future income potential to show how the injury has affected earning power. This proof is necessary to ensure that victims with personal injuries receive the compensation they need to offset the costs of long-term care. After someone passes away in Tracy or Livermore, the probate process can begin. Probate is the process of filing a petition with the court to admit the will into probate or, in the absence of a will, appointing an estate administrator. When wills enter probate, they are publicly accessible. The decedent’s assets are inventoried and then the assets are transferred from the decedent to the heirs. When you watch this video, you’ll hear a little more about probate and why some people might wish to avoid it. Since wills that enter into probate are publicly accessible, some people wish to avoid probate due to privacy concerns. It is also possible that the will may be contested. If you have any concerns about probate, a lawyer who handles estate planning cases can help you. If you were injured as a result of the negligent or reckless actions of another person, you may have the grounds for a personal injury lawsuit. Consider talking to a personal injury lawyer near Tracy or Manteca about your legal rights and options. 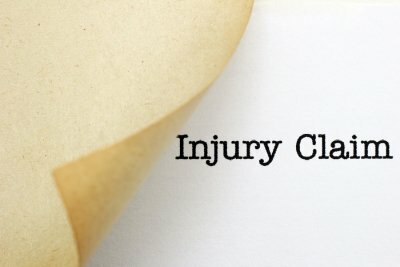 Depending on the circumstances of your case, your personal injury lawyer might pursue compensation on your behalf for your actual losses and your pain and suffering, which may be referred to as your emotional injuries. Emotional distress can arise from many different types of personal injury cases. It may be an element in auto accident cases in which the victim has suffered mental anxiety along with physical injuries. Emotional damages can be associated with intentional torts, in which the defendant intentionally assaulted the victim. Emotional injuries may also arise from dog bite cases or slip and fall accidents. When determining whether to pursue compensation for emotional injuries, your personal injury lawyer will consider whether certain elements are present in your case. 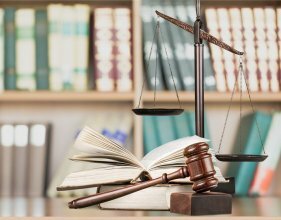 Under California case law, the defendant must be shown to have acted in an extreme manner that is outside of the scope of exercising reasonable care. The defendant must have acted in a way that showed reckless disregard for the victim’s safety or the defendant must have intentionally acted in this way. Additionally, the plaintiff must be shown to have suffered from severe emotional distress. The defendant’s actions must be a substantial factor in causing this extreme emotional distress. Emotional injuries are often difficult to prove, but there are ways that your injury lawyer can demonstrate your emotional distress. After an incident occurs, it’s important to keep careful track of all problems that stem from the incident. Perhaps your emotional distress was severe enough to cause you to miss work or even to get fired. Perhaps you had to work with a psychologist or other mental health counselor. Document the specific symptoms and other challenges you experience from day to day and describe the way in which these problems interfered with your daily life. Your account of your emotional distress should be supported by documents or testimony from your doctor or mental health professional. If you have your lawyer establish a trust , then the trustee is responsible for administering the trust in accordance with your wishes after your death. In Tracy and Livermore, trust administration is a significant responsibility and often requires in-depth knowledge of estate planning matters. The trustee you choose can receive assistance from a law firm, but it’s still important to select a trustee who is capable of handling this responsibility. It’s common to select a family member as a trustee or two select two family members to serve as co-trustees. If this is an option for you, then be sure to choose a family member who has solid business sense and good judgment. Your trustee should be expected to outlive you. Before settling on a relative, carefully consider whether family dynamics or family conflicts might interfere with the trustee’s ability to administer the trust in an appropriate manner. Even when a family trustee has the best of intentions at heart, he or she might be influenced to make an emotional decision. If you do decide to use a family trustee, make sure that person is willing to carry out these duties after your death. Many people choose a professional or corporate trustee. This option may be right for you if you do not have a family member whom you trust to faithfully administer the trust or if none of your relatives are willing to assume this role. 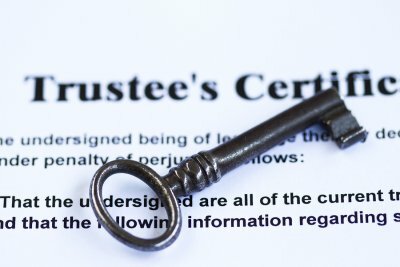 Bear in mind that a corporate trustee will charge a fee, which might be a problem for trusts that are modestly funded. However, the advantage of choosing a corporate trustee is that he or she won’t be swayed by family dynamics or conflicts. It is possible to find a middle ground between choosing a family trustee versus a corporate trustee. You might decide to select a trustworthy family member to serve as a trustee, but then to also hire an independent investment advisor. This advisor could provide guidance to the trustee without charging the same high fee that would be typical of a corporate co-trustee.